Counseling El Paso, TX: Caring and Competent. Find the right therapist near you. Counseling in El Paso, TX. Find the Right Therapist. Safe, effective, and caring. Affordable therapists near you in El Paso, Texas will help you make the changes you want. 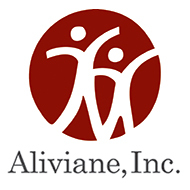 Aliviane, Inc. is a minority-governed, nonprofit community-based organization with 44-years of experience providing promotion, prevention, intervention, and treatment services in West Texas. Since 1970, the agency has grown in its innovative approach to substance abuse and mental health services for all members of our community, especially those living in disparity. One of the more important El Paso planners, Anson mills, is known as the Father of El Paso. One of his most remembered contributions to the growing city was his proposal to change the name from Franklin to El Paso.1 The population was at around roughly 10,000 in 1890 after several large railroad companies moved into town. With its growth in population came a reputation for lawlessness and disorder. The town hired a marshal by the name of Dallas Stoudenmire who was known for his quick temper and rough manner. The newcomer used fear to control the City Council, but he turned out to be effective at ending the rampant crime that plagued the area. During the 1920s and 1930s, El Paso became an important business center with several hotels, and the first Hilton Hotel opened in the city. Despite a few hiccups, El Paso has continued to grow throughout the 20th and 21st centuries. El Paso is located in El Paso County, Texas. It has a land area of 256.77 square miles and a water area of 0.86 square miles. The population of El Paso is 681,124 people with 220,682 households and a median annual income of $42,772. . Mental health treatment and therapy in El Paso is sometimes a struggle to afford for families and individuals without proper insurance coverage. Finances for many in El Paso are not able to cover long term weekly counseling sessions without a budgetary plan in place. The good news is that therapists are often willing to work with you if accessibility is an issue. Low cost therapy and sliding scales are just some of the options that therapists can offer. Insurance may cover your sessions as well. Talk to your counselor to learn more. Low cost counseling and affordable therapy are also sometimes offered by listed city and university level clinics, check with your local El Paso public health department.